"My wife and I have been using this app for several days now. I can say that this application fills a void in available speech software. It is what maybe is the easiest and fastest way to carry on a quick or casual conversation. The application's ability to recognize and learn your handwriting is excellent. 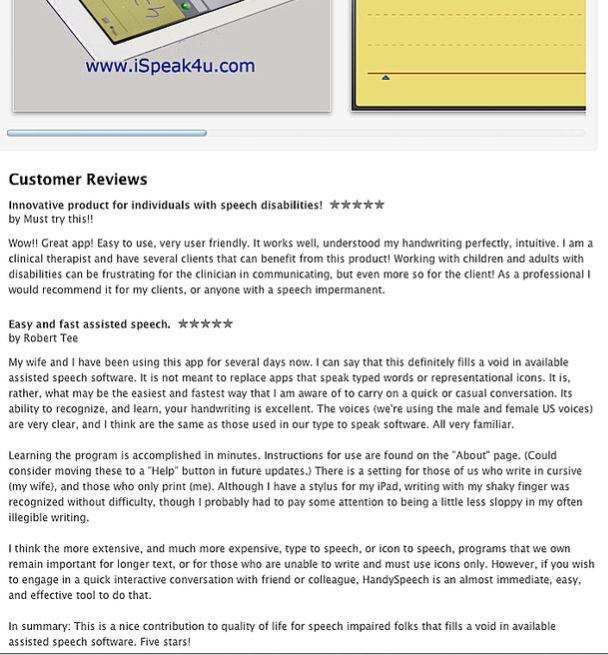 This is a nice contribution to the quality of life for speech impaired folks," said Robert T., a HandySpeech user.